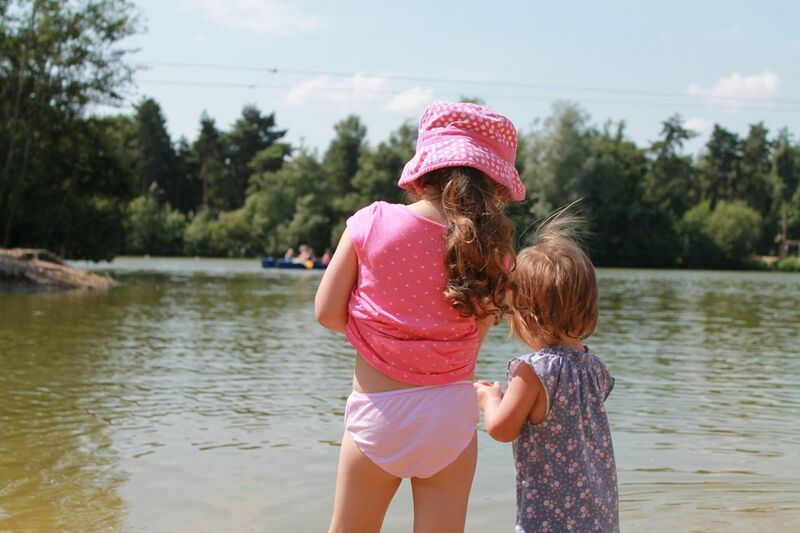 A couple of weeks ago, we were lucky enough to travel as a family and spend a week at Centerparcs Elveden Forest with another family. 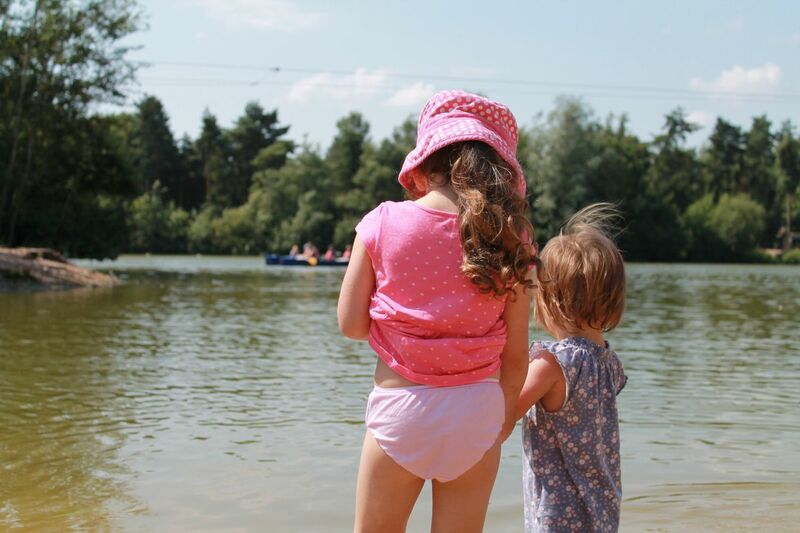 The weather was sublime, we had a fabulous holiday and the children had a ball. I couldn’t believe how independent Ella was and how much she looks up to, admires and wants to be with her big sister nowadays. And equally on the other hand it was just so, so sweet to see how caring and doting her elder sister was towards her in return. Sometimes it was quite comical to watch though, as poor Little E always tries to do exactly what her big sis is doing. She wants a water cup too instead of a beaker, but she is too keen and just tips it all over her face and down her front. The one thing she can take her sister on with though is dancing – they are both really quite little movers! Obviously take after their Mummy and not their Daddy! 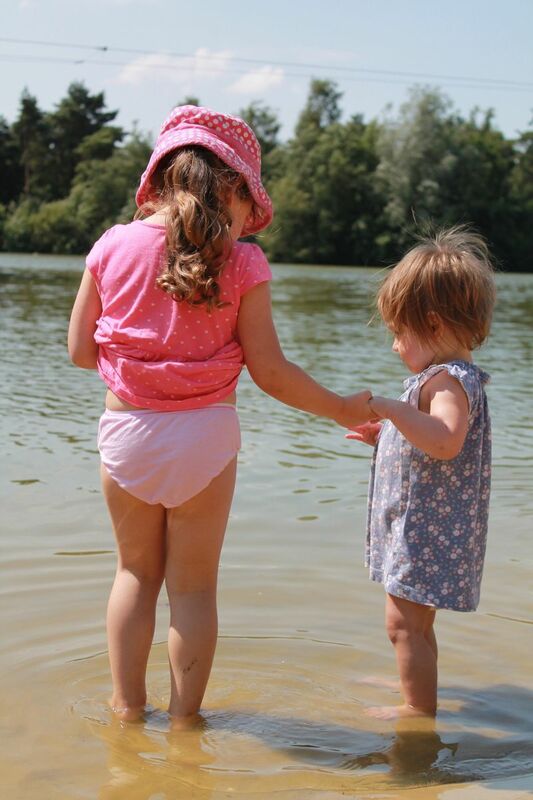 Here is a moment I managed to catch of them playing together in the shallow water along the shoreline of the lake. It was an absolutely perfect day and these are some of the best photos I believe I have to date of my two gorgeous girls. 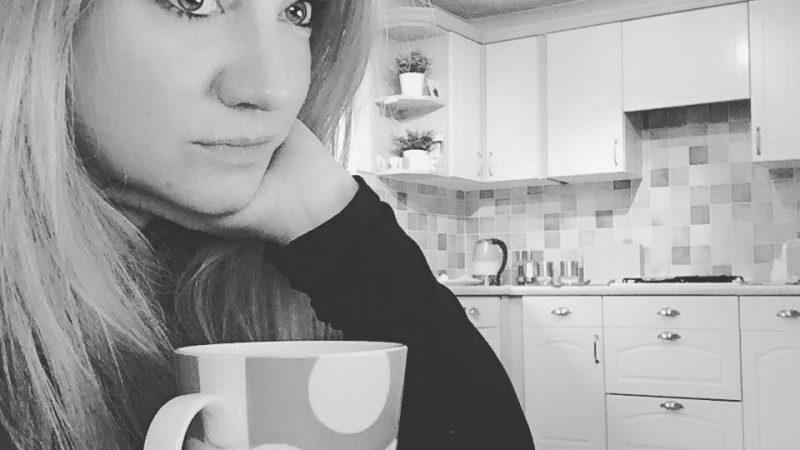 Next Post Being a mummy is….being the adult! Aww they’re so sweet together – and remind me so much of my girls! Lovely photos. 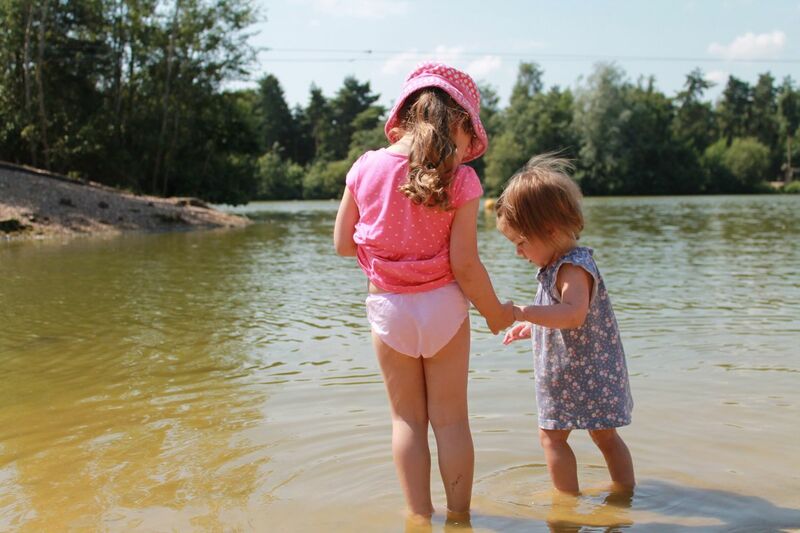 I love how your eldest is helping her little sister in the water.